Fun with scribbly pen lines. Clearly, I was loving the awkward with this one. 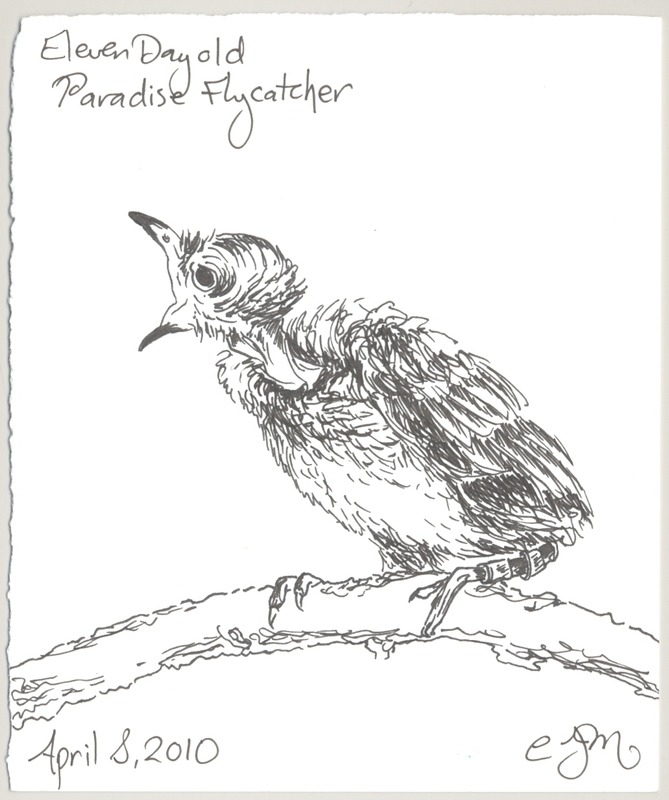 By the way, I draw a grown up flycatcher later in the year. They’re gorgeous birds, when they’re not all scrawny and molting.